NOWSlave, investigative reporter, exposes feminist manhater!!!!!!!!!!!!!!! | Artistry For Feminism. And Kittens. ← Join the Man Boobz Poster Revolution! NWOSlave has made an appearance here before, so please consider this an encore performance. He even somehow found a video online of this modern day theatrical version of the SCUM Manifesto! The only problem with this hard-hitting exposé? 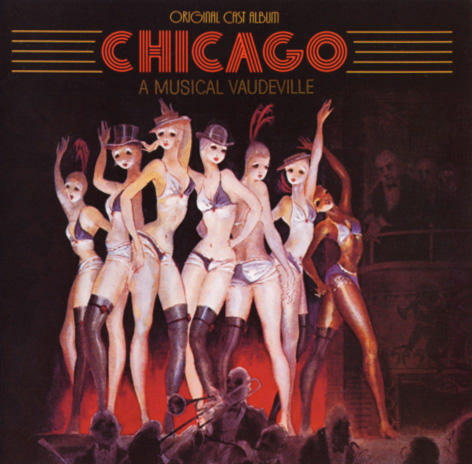 Chloe Angyal did not actually write the musical Chicago: A Musical Vaudeville, nor did she write this particular musical number (“Cell Block Tango”). Credit for that has to go to John Kander and Fred Ebb, who based the musical on a 1926 play by reporter Maurine Dallas Watkins. Chicago: A Feminist Musical Vaudeville? But since Chloe Angyal played a role in a production of Chicago, she must logically endorse every word she spoke or sang, right? Isn’t that how drama works? I was once in The Importance of Being Ernest (hence the name) so I approve of the abandonment of baby boys in handbags at railway station cloakrooms. Come to think of it, at primary school I was in ‘Beauty and the Beast’ and therefore condone selling girl-children into slavery for the price of a few cut flowers. Having memorised the lyrics to I am the very model of a modern Major-General, I sing it often. I never realised before that that means I’ve reached a very high position within the British military. I was in a production of Wizard of Oz, therefore I AM A FLYING MONKEY! I was in a high-school production of M*A*S*H*, which means I’ve now seen more combat duty than NWO. This is only a sample; manboobzers are clearly a theatrical bunch! Never fear, though — NWOSlave comes back to the thread and humbly admits his error blathers on about uppity women, high heels, and how men should expose themselves to young girls. This entry was posted in general mockery and tagged cell block tango, chicago, chloe angyal, just ducky, MissPrism, musicals, nwoslave, Ozymandias, SCUM Manifesto, Shaenon, Spearhafoc. Bookmark the permalink. 2 Responses to NOWSlave, investigative reporter, exposes feminist manhater!!!!!!!!!!!!!!! Having once been in a production of Hamlet, I condone killing everyone. I was once in a play where I played a murderous maid…I guess I will turn myself into the law now…. I was also in an Ayn Rand play in high school….guess this means I need to tun in my feminist and liberal credintials!